I read an article today from my local newspaper titled, “Older people have knowledge to share—if we just listen” by Bob Rudy. It caught my attention for several reasons, one being that I spent time as a hospice volunteer a few years ago listening to the fascinating stories of people’s lives. Not only was it interesting to me, but the way their faces lit up as they told their stories turned out to be a gift for both of us. I’ve also been working on my families genealogy for over 20 years now. I was fortunate to start it at a time when my parents were still alive, and as I dove into it I found myself wanting to know more about what their life was like growing up. They’ve both been gone a long time now and still I have question I wish I would have asked. I can’t imagine what it’s like to have never taken the time I did though to get to know them. 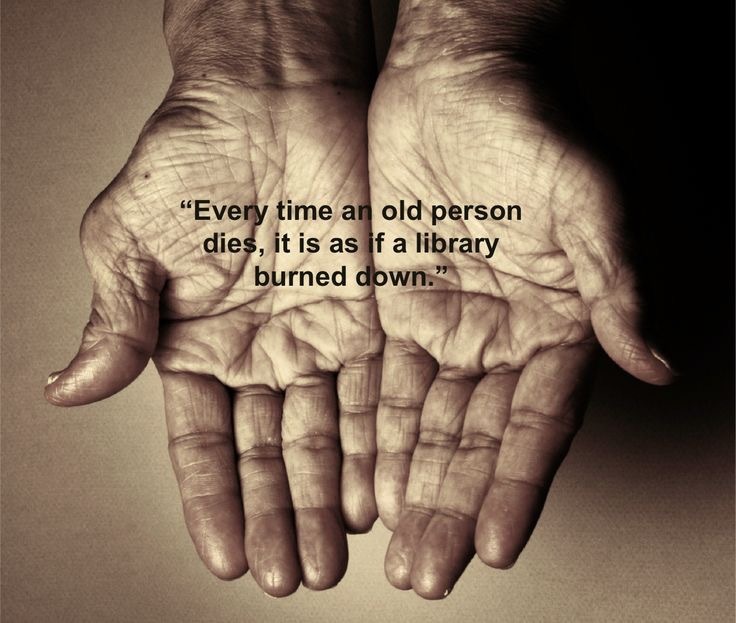 It is true as the quote states as each family member passes away, a whole library disappears. The other reason this subject is close to my heart is because I am a story teller myself, and as the younger generations calls us, I’m an older person myself. I like the phrase that getting older is not for wimps, because it is a time in a humans life when we have to work really hard to hang onto what we have. Sometimes it even feels like your slowly disappearing, fading into space as we lose our hearing, sight, coordination and many other facilities that make you feel like a child again. But ask us to tell you one of our stories and we become energized. Our eyes will light up, and just maybe we’ll feel like our lives matters once again, and you’ll hear a real live story like the ones you read in a book you borrow from the library. Thank you Nico! I really enjoyed writing it.